You are here: Home › ALL BLOGS › Certificate of Return is issued only to Candidates who win their elections freely – INEC insists. ← I will be “Imo Governor” in the real sense of the word – Ihedioha. Certificate of Return is issued only to Candidates who win their elections freely – INEC insists. 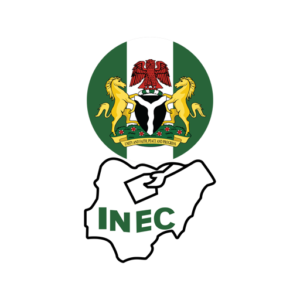 THE Independent National Electoral Commission, INEC, on Thursday said Certificate of Return is only issued to candidates who win elections freely. It added that for any elected person to earn a Certificate of Return, it must be through the freewill of a returning officer who supervised the electoral process. INEC stated this as it cleared the air on its decision to withhold certificates of return to Governor Rochas Okorocha of Imo State and three others. He told the News Agency of Nigeria on Thursday in Awka that INEC only issues certificates to people who genuinely win elections. “Issuance of certificate of return is a statutory function of INEC. It is only issued to those who won election and must be done through freewill of a returning officer. “In the case of Imo West Senatorial zone where Okorocha contested, the Otu-Opi Federal Constituency in Benue, Agayi State Constituency and another in Akwa Ibom, what INEC is saying is that you can’t engage in bad electoral behaviour and expect INEC to reward you with a certificate. “Our certificate is only for those who win freely,” he said. “Once we have such case, INEC will not issue certificate, but ensure that the right thing is done,” he said. He said at the moment, contenders of the positions in all the four affected areas are in court, adding that INEC is awaiting the outcome of the pending matters. Okoye said if the court orders INEC to issue certificates of return to the people involved, it would do same.